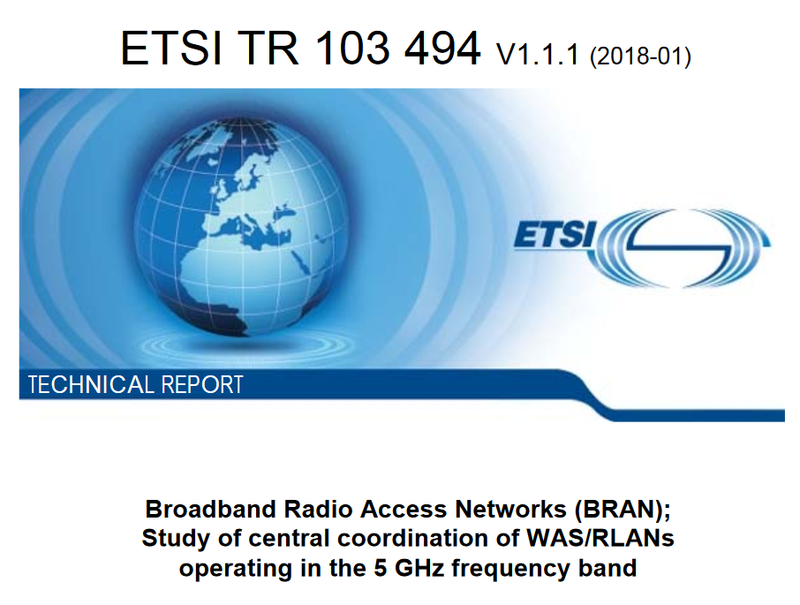 ETSI has published ETSI TR 103 494, a technical report released by ETSI’s technical committee Broadband Radio Access Networks (BRAN). The report contains studies of the architectures and the protocols supporting the central coordination of WAS including RLANs (WAS/RLAN) operating in the 5 GHz band. It also includes information provided by a radio node/network of radio nodes and the procedures for the coordination of the operation of these nodes. The report is based on the main outcomes of COHERENT project, including a control framework, based on SDN principles, applicable to the operation of heterogeneous wireless technologies in the same band. The standard was initiated by COHERENT partner 4GCelleX and supported by partners Thales, Fairspectrum, CREATE-NET and VTT.